We had lunch with a good friend in Fort Worth and asked for a recommendation of somewhere to visit. Everyone goes to the Stockyards, was his reply. I asked when the last time he had been there was, he hemmed and hawed. Yeah, that’s what I thought. 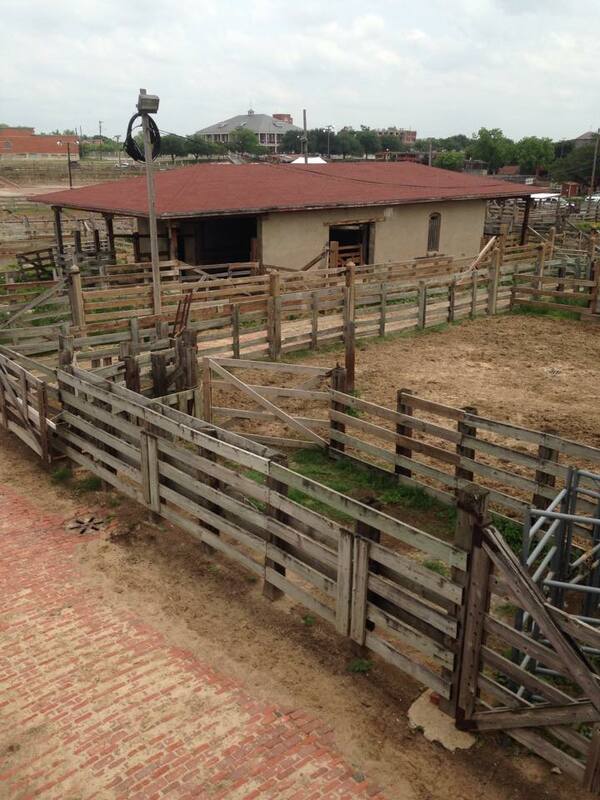 The Fort Worth Stockyards has been converted to a tourist area. It once was a huge area for driving cattle to slaughter. All the slaughter houses and the railroad came together there. Cattle prices were determined in Fort Worth, so it was the money center. We had just had a fabulous lunch, so weren’t in the market for the food and drink offered in the area, so we went to the Live Stock Exchange Building. The building itself was built in 1902, once known as the Wall Street of the West, it’s where livestock commissioners presided over an industry that affected many. There are still many offices and businesses that are headquartered in the Live Stock Exchange Building at 131 E. Exchange Avenue, Fort Worth, Texas, there is also a small museum curated by the North Fort Worth Historical Society. The curators have stuffed it with old relics of the west, including the docents. Each one wants to tell you a story for your $2 donation. There is the cursed wedding dress in the case; an old Victrola with no volume control, lots of memorabilia of the times. To find the real treasures, go slow and look in every nook and cranny. The room is not very big, but filled with trinkets from another era. When you leave, go out the back door to see the longhorn cattle, they do a roundup twice a day moving them from arena to pen for you, but if you happen to miss it, at least walk up the catwalk and look over the pen area. It isn’t all still used today, but you can imagine what it once looked like as the cattle came off the railroad cars and in to the area to be sorted. The area is still pretty open, you can see how it might have looked 100 years ago. I’m a sucker for nostalgia.